Depending on what criteria one uses, there are between 200 and 600 groups in the United States that wholly or in part are dedicated to furthering the interests of Israel. The organisations are both Jewish, like the Zionist Organisation of America, and Christian Zionist to include John Hagee’s Christians United for Israel, but the funding of the Israel Lobby and both its political and media access comes overwhelmingly from Jewish supporters and advocates. There is a legal remedy to hostile foreigners acting against American interests and that is the Foreign Agents Registration Act of 1938 (FARA). Originally intended to identify and monitor agents of Nazi Germany propagandising in the United States, it has since been applied to individuals and groups linked to other nations. Most recently, it was used against Russian news agencies RT America and Sputnik, which were forced to register. It is also being considered for Qatar based Al-Jazeera. FARA requires identified agents to be transparent in terms of their funding and contacts while also being publicly identified as representing the interests of a foreign nation. In spite of language that would presumably cover many of the hundreds of Jewish organisations acting for Israel, FARA has never been used to compel registration of any such groups or individuals even when it was public knowledge that they were working closely with the Israeli government to coordinate positions and promote other Israeli interests. That failure is at a minimum a tribute to Jewish power in the United States, but it is also due to the fact that the organisations are funded from within the United States by wealthy American Jews, not by Israel, which is the argument sometimes inaccurately made by the groups themselves to demonstrate that they are not being directed by the Israeli government. The difficulty in proving that one is directed by a foreign government has been definitively resolved regarding one group, the Foundation for the Defence of Democracies (FDD), which has become the leading neo-conservative bastion seeking a war with Iran, Israel’s bête noir. For those who are unfamiliar with FDD, it is probably currently the most prominent neo-con organisation though it nevertheless claims to be a non-partisan “research group.” It focuses on foreign policy and security issues by “Fighting Terrorism and Promoting Freedom,” as it informs us on its website masthead. It works to “defend free nations against their enemies,” which frequently means in practice anyone whom Israel considers to be hostile, most particularly Iran. FDD’s Leadership Council has featured former CIA Director James Woolsey, Senator Joe Lieberman, and Bill Kristol. Its executive director is Canadian import Mark Dubowitz, who is obsessed with Iran. Its advisors and experts are mostly Jewish and most of its funding comes from Jewish oligarchs. FDD’s auditorium has become a preferred venue for senior officials of the Trump administration to go and make hard-line speeches, just as the American Enterprise Institute was under George W Bush. Mike Pence, Mike Pompeo, John Bolton and Nikki Haley have all spoken there recently, frequently focusing on Iran and the threat that it allegedly constitutes. So Vaknin-Gil was admitting that FDD and others were working as Israeli proxies, collecting information on US citizens, spying on legal organisations, and both planning and executing disinformation at Israeli direction. Kleinfeld also spoke with a Jonathan Schanzer, a senior official in FDD, who filled in a bit more of what the foundation is up to in terms of discrediting groups in the US that support the Boycott, Divestment, Sanctions movement. So, when will the Justice Department move on FDD now that its true colours have been exposed by al-Jazeera? The group must be required to register if justice be done, but will it? 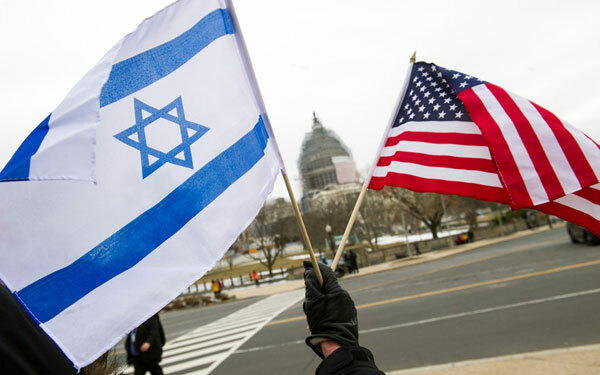 Its principal partner in crime, the American Israel Public Affairs Committee (AIPAC), has avoided registering for more than 60 years by claiming that it is an American organisation working to educate the US public about the all the good things connected to Israel. Even though it meets regularly with Israeli government officials, it claims not to be representing Israeli interests. But just as in the case of FDD, it is time to require AIPAC to register as what it really is: a foreign agent. As a registered agent, it will still be able to exercise First Amendment rights to defend Israel but it would not be able to be involved in lobbying on Capitol Hill and directing money to politicians who are described as pro-Israeli, as it does now. Its finances will be transparent and it will be perceived not as an educational resource for what is happening in the Middle East, but as an official advocate for Israel.